OYT Scotland are extremely grateful for the very generous support they receive from Curly and Barbara Mills. Even just a week afloat can transform young lives by revealing how each can play a significant part in a team which has to overcome difficulties to reach their objective. 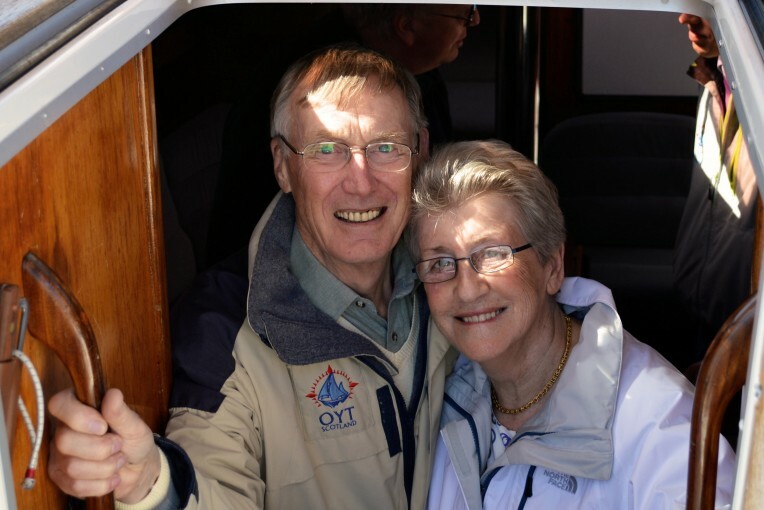 Having enjoyed many years of sailing themselves and been successful in helping to create leading edge businesses, Curly and Barbara feel privileged to be part of the OYT Scotland team which has become a world leader in the field of sail training.